Do you need a high school or middle school periodic table? This periodic table is a periodic table with charges PDF optimized to fit on a single sheet of paper. This periodic table contains all 118 elements along with each element’s atomic number, symbol, name, atomic mass, electron shell configuration, and most common charges (oxidation states). It also contains a useful legend to locate all this information and a table showing the number of electrons per electron shell along with their orbital distribution. This table is designed to fit on a single sheet of 8 1/2″ x 11″ sheet of paper while maintaining legibility for the small text of the electron shell configurations. For best results, use the PDF file for printing. If your printer does not automatically recognize the orientation, be sure to check the Landscape option to maximize the space used on the paper. 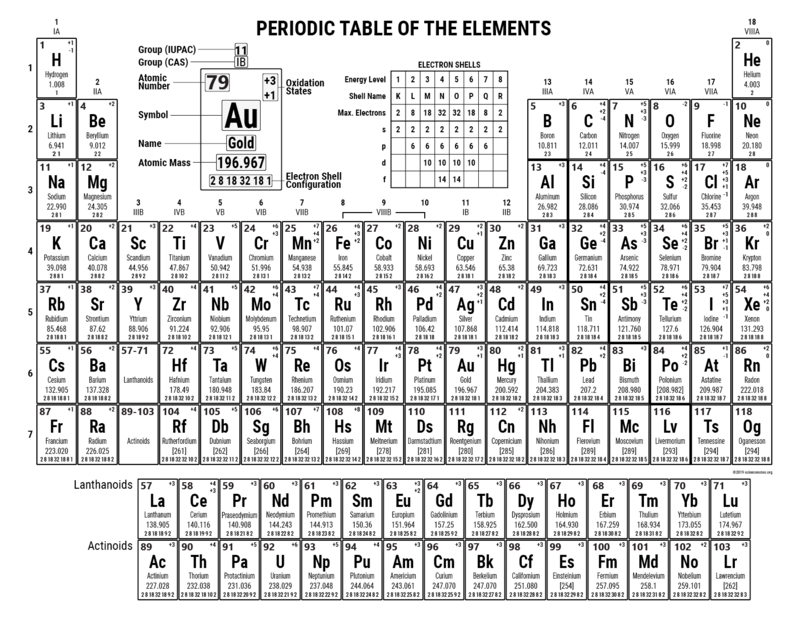 Download this table and be sure to check out our other printable periodic tables. ← Why Does Cilantro Taste Like Soap?